Our whiskey was distilled down this street, so it’s the perfect place to raise a glass to our history. Pubs like this were frequented by our staff who would drop in after work, for a drop. Today, it’s known as Dublin’s alternative music venue and a spot where you might meet a famous music head. 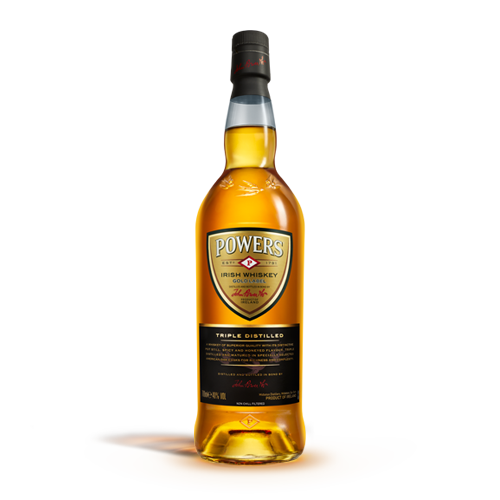 Our Signature Serve is POWERS Gold Label, neat. Triple distilled Irish whiskey. Left to mature in selected American oak casks, this is where the spicy, bold character takes hold. A complex and honeyed taste is yours for the clicking. This signature glass reflects the story of how POWERS has been distilling its whiskey over the centuries. This unique vessel was crafted to hold our heart like no other glass could. POWERS can now sit precisely in the middle to be enjoyed as James Powers intended. Another innovation upholding the POWERS pioneering spirit.